The United States Marshals Service has issued a BOLO Alert (Be-on-the-Lookout) for Donald Dills. The U.S. 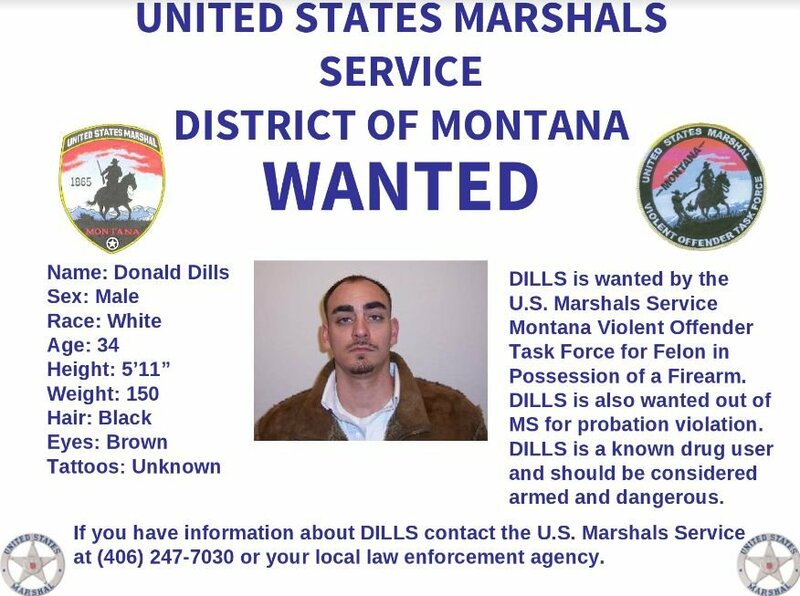 Marshals Service says that Dills is wanted by the USMS Montana Violent Offender Task Force on a charge of felon in possession of a firearm. Dills is also wanted based on a probation violation in Mississippi. According to the Bozeman Daily Chronicle, in 2006, Dills was sentenced for armed robbery in Mississippi. He is required to register as a violent offender and was last registered in Great Falls. Anyone with information about Dills is asked to contact the U.S. Marshals Service at 406-247-7030 or their local law enforcement agency.